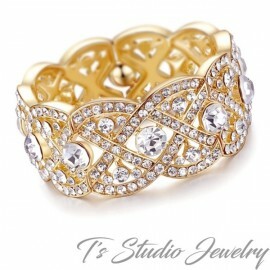 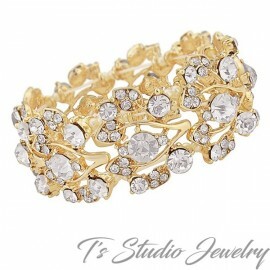 The focus of this bracelet is a 24 karat gold plated flower clasp, with a single crystal in the middle. 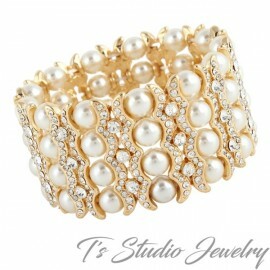 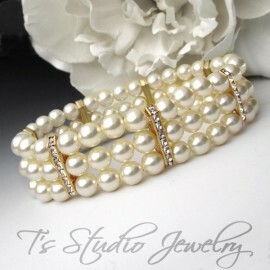 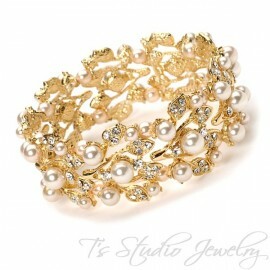 The 2 strands are made with ivory colored Swarovski pearls, combined with gold chain. 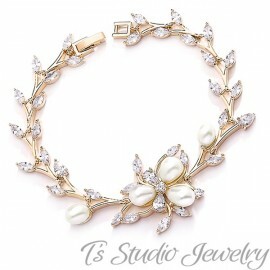 This bracelet is also available with a silver flower and chain.